The Pudgalavāda (Sanskrit; Chinese: 補特伽羅論者) or "Personalist" school of Buddhism, was a grouping of early Buddhist schools that separated from the Sthavira nikāya around 280 BCE. Prominent groups classified as Pudgalavāda include the Vātsīputrīya nikāya and the Saṃmitīya nikāya. The Pudgalavādins asserted that while there is no ātman, there is a pudgala or "person", which is neither the same as nor different from the skandhas (aggregates). The "person" was their method of accounting for karma, rebirth, and Nirvana. Other schools held that the "person" exists only as a label, a nominal reality. Pudgalavādin views were sharply criticized by the Theravada (a record of a Theravadin attack on the pudgala is found in the Kathavatthu), Sarvastivada, and the Madhyamaka. However, Nagarjuna appears to have shown acceptance for the theory of an indestructible phenomenon (avipranasha) which is associated with the Saṃmitīya (a Pudgalavada school) and Mahāsāṃghika traditions. 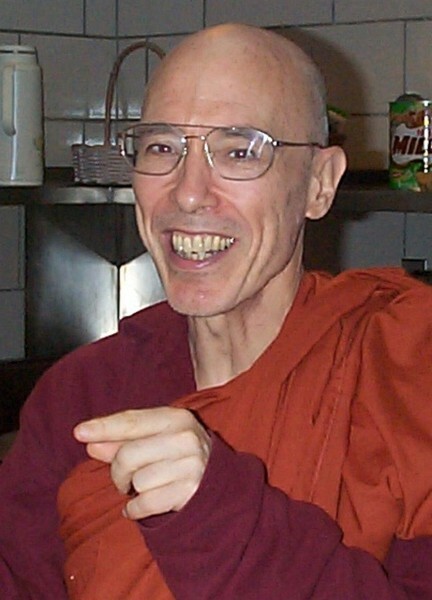 And the prominent Theravada monk Walpola Rahula has stated that the Mahayana Yogachara concept Ālāya-vijñāna (store-house consciousness) "All-encompassing foundation consciousness" can find support in the Pali Canon with the multiple terms for mind and consciousness: (citta, manas, and vijñana); which also fits with Pudgalavada views. Such views imply a "person" or impermanent self that receives (and "stores") karma and its fruits. Among the most prominent of the Pudgalavādin schools were the Saṃmitīya. Étienne Lamotte, using the writings of the Chinese traveler Xuanzang, asserted that the Saṃmitīya were in all likelihood the most populous non-Mahayanist sect in India, comprising double the number of the next largest sect. The Pudgalavada school was either the most popular school of Buddhism or one of the most from the 3rd century BCE through the 10 century CE, spanning about 1,200 years or more. The Pudgalavada school was confined to the Indian sub-continent as it did not spread to Burma, Tibet, Sri Lanka and other nations where Buddhism spread to. Starting from about the second century CE onward, there was a revitalization of Hinduism in India and then later Muslim conquerors which virtually eliminated Buddhism from India by around the 11th century CE. And with that, the end came to the Pudgalavada school. Their version of the Tipitaka was lost and only a few texts remain which were translated to Chinese and now subsequently to English and other languages, not until the late 20th century. Although they no longer officially exist today in terms of a monastic lineage with transmission, their doctrines remain very popular today. Based on polls and surveys of Buddhists in informal polls at discussion forums, a sizable percentage of modern Buddhists hold Pudgalavada views, even though they might call themselves Theravadin or Mahayanist. The Buddha taught that no self is to be found either in or outside of the five skandhas or in their aggregates; the five are material form, feeling, ideation, mental forces, and consciousness. He rejected the two extreme positions of a permanent, unchanging self persisting in Samsara (cycle of death and rebirth) through successive lives, and of a self which is completely destroyed at death. He taught instead a middle position of dependent origination (pratītyasamutpāda), according to which our existence in this life has arisen as a result of our ethically significant volitional acts (karma) in our last life, and such volitional acts in our present life will give rise to our existence (but will not determine our acts) in our next life. What we are now is thus not the same as what we were, since this is a new life with a different body, different feelings and so on, but neither is it entirely separate from what we were, since what we are now is the result of decisions made in our past life. In the non-Pudgalavādin schools, which we now think of as orthodox in this regard, this teaching was interpreted (not unreasonably) as a denial that there is any substantial self together with an affirmation of the complex process of evanescent phenomena which at any particular time we identify as a person. In the opinion of these schools, the teaching understood in this way offers several advantages: first, it is true, in the sense that it can be accepted as an accurate account of what can actually be observed of a person (including the events and decisions of past lives, which were supposed to be accessible to the Buddha’s memory); secondly, it removes the basis for selfishness (the root of both wrong-doing and suffering) by exposing the ultimate unreality of the self as a substantial entity; and thirdly, it supports the view that what we do makes a real difference to what we become in both this life and future lives. It thus offers rational hope for an eventual dismantling of the otherwise self-perpetuating mechanism of misunderstanding, craving and suffering in which we are trapped. But this interpretation of the Buddha’s teaching also involves certain difficulties. In the first place, even if we can understand the functional identity of the person as simply the continuity of a causal process in which the evanescent phenomena of the five aggregates occur and recur in a gradually changing pattern, it is hard to understand how this continuity is maintained through death to the birth of the person in a new life. If rebirth is immediate, as the Theravādins held, how can the final moments of one life bring about the beginning of a new life in a place necessarily at some distance from the place of death? But if there is an intermediate state between death and rebirth, as the Sarvāstivādins held, how can the person journey from one life to the next when the aggregates of the old life have passed away and the aggregates of the new life have not yet arisen? Or if there are aggregates in the intermediate state, why does this state not constitute a life interposed between the one that has ended and the one that is to begin? In the second place, the denial of the ultimate reality of the self certainly seems to cut away the basis for selfishness, but it seems in the same way to cut away the basis for compassion. If the effort to gain anything for oneself is essentially deluded, how can it not be equally deluded to try to gain anything for other persons, other selves? If to be liberated is to realize that there was never anyone to be liberated, why would that liberation not include the realization that there was never anyone else to be liberated either? Yet it was out of compassion that the Buddha, freshly enlightened, undertook to teach in the first place, and without that compassion there would have been no Buddhism. The Pudgalavādins described the person or self as “inexpressible,” that is, as indeterminate in its relation to the five aggregates, since it cannot be identified with the aggregates and cannot be found apart from them: the self and the aggregates are neither the same nor different. But whereas other schools took this indeterminacy as evidence that the self is unreal, the Pudgalavādins understood it to characterize a real self, a self that is “true and ultimate.” It is this self, they maintained, that dies and is reborn through successive lives in Samsara, continuing to exist until enlightenment is attained. Even in Parinirvana, when the aggregates of the enlightened self have passed away in death and no new aggregates can arise in rebirth, the self, though no longer existent with the aggregates of an individual person, cannot actually be said to be non-existent. Like most other Shrāvakayāna Buddhists, the Pudgalavādins regarded Nirvana as a real entity, differing from the realm of dependent origination (though not absolutely distinct from it) in being uncaused (asamskrita) and thus indestructible. Accordingly, Nirvana is not something brought into being at the moment of enlightenment, but is rather an eternally existing reality which at that moment is finally attained. The Pudgalavādins held that the self is indeterminate also in its relation to this eternal reality of Nirvana: the self and Nirvana are neither the same nor different. In its indeterminate relationship with the five aggregates and Nirvana, the self is understood to constitute a fifth category of existence, the “inexpressible.” The phenomena of the five aggregates and of temporal existence in general form three categories: past phenomena, present phenomena and future phenomena. Nirvana, as an eternal, uncaused reality, is the fourth category. The self or person, not to be described either as the same as the dependent phenomena of the temporal world or as distinct from them, is the fifth. 1. according to the aggregates appropriated as its basis in a particular life: In the this case, we have a conception of a particular person based on what we know of that person’s physical appearance, feelings, thoughts, inclinations and awareness. 2. according to its acquisition of new aggregates in its transition from a past life to its present one, or from the present life to a future one: In this case, we would have a conception of a particular person as one who was such-and-such a person, with that person’s body, feelings and so on, in a previous life, or as one who will be reborn as such-and-such a person, with that person’s body, feelings and so on, in a future life. 3.according to the final passing away of its aggregates at death after attaining enlightenment: In the this case, we have a conception of a person who has attained Parinirvana based on the body, feelings, thoughts, inclinations and awareness that have passed away at death without any possibility of recurrence. In this way, all the statements made by the Buddha—and by others on his authority or on the strength of their own observation, concerning persons or selves and their past or future existences—can be shown to be based on the five aggregates from which those persons are inseparable. The Pudgalavadins accepted the Buddhist doctrine of anatta. They did not hold an eternalism view. It is possible, according to some scholars that the name given to them of "personalists" was by the other schools of Buddhism in a disparaging way, believing them to be eternalists. They held that the pudgala was an indeterminate-self and not an eternal atman. The Pudgalavadins argue that karma and rebirth would not properly work under an extreme no-self process. Although anatta is true, there is still something that must get reborn, something that accumulates good and bad karma and someone that attains Nirvana. According to orthodox, mainstream Thervada and other schools when one attains parinirvana the perceived self is no longer supported by the aggregates and no longer exists just like a fire that has gone out when its fuel is exhausted. The Pudgalavādins hold that the Buddha and other arahants who attain parainirvana become “unfathomable”, that they cannot be described in terms of arising or non-arising, existence or non-existence. Another text, preserved and accepted as authoritative by the Theravādins, explains that Nirvana exists eternally and can be attained even though there is no place where it is “stored up,” just as fire exists and can be produced by rubbing two sticks together even though there is no place where it is stored up. The extinction of the fire can be understood as a transition from its local existence supported by its fuel to a non-local state which cannot be described as either existence or non-existence. The Parinirvana of the Buddha will then be his transition from a local existence supported by the aggregates to a non-local state which is unfathomable. A canonical text of the Mahāyāna explicitly describes the non-local form of the Buddha after his death as his “eternal body,” which is said to be like the fire that has not gone north, south, east or west, but is simply extinct. One of the Pudgalavādin sources speaks of the person in Parinirvana as having attained the “unshakeable happiness”, and another source says that the Pudgalavādins held that although Nirvana has the nature of non-existence, because there is no body, faculty or thought there, it also has the nature of existence, because the supreme, ever-lasting happiness is there. So Nirvana is characterized by eternal happiness, but it is a happiness unaccompanied by any body, faculty or thought. Moreover, another source ascribes to the Pudgalavādins the view that Nirvana is the quiescence of the person’s previous “coming and going” in Samsara; it seems to say, then, that Nirvana is a state that the person achieves. This “state” cannot be something that comes into being when Nirvana is attained; otherwise Nirvana would be dependent and so in principle impermanent. And in Parinirvana there are no aggregates, and thus no person, in any normal sense, of which this quiescence could be a state. But if this quiescence is Nirvana, it cannot be simply the non-existence of the person, since we are told explicitly that the person is not nonexistent in Parinirvana (though of course not existent, either). Nirvana must be quiescence in the sense in which it is the “cessation of suffering,” not as a state that arises at the moment of enlightenment and is completed at death, but as an already existing reality whose attainment puts an end to suffering and the coming and going of Samsara. At the time of the Buddha's parinirvana around 483 BCE, the community of Buddhists was very cohesive with no major differences in doctrines and is known as the pre-sectarian period. Beginning with the Second Buddhist council there were disagreements, especially in regard to the monastic Vinaya rules. By the time of the Third Buddhist council in 250 BCE, Buddhism was spread out across about 20 different early schools. Each school of Buddhism had their texts and versions of the Tipitaka, many of which have been lost, especially of those schools no longer existing in modern times. We have the largest available Tipitaka in full translations from the Theravada Pali Canon. This tradition remained oral and was passed down until being put into writing starting around 100 BCE. Therefore, the Pali Canon, although complete is not necessarily historically one hundred percent accurate when you consider that there were other schools of Buddhism in existence and simply don't have their full texts around any more. There is always the possibility, the potential that we must consider that one of the other early schools of Buddhism, no longer existing -- had it right in the accurate Buddhavacana (words of the Buddha). The Pudgalavada school established around 280 BCE as did the Mahāsāṃghika school. 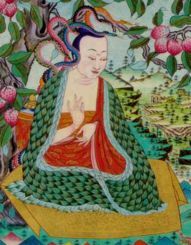 The Mahāsāṃghika school might be the precursor to the Mahayana, according to many scholars. 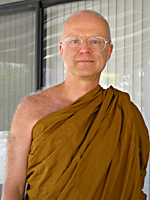 The Theravada was established as we know it today, around 250 BCE. At the Third Buddhist council the Kathavatthu was included in the then incomplete Pali Tipitaka with the orthodox Theravadins discussing the Pudgalavada views, indicating that the Pudgalavada school was already in existence. So if we go by a strict historical analysis, the Pudgalavada and the Mahāsāṃghika began earlier than the Theravada. Of course every sect claims that they are originated from the Buddha and represent a continuation of the teachings and it is just the name / label of the school that changes, but outside of meditative insights which cannot be independently verified, all we have is a historical analysis and based on that, the Pudgalavada and Mahāsāṃghika have equal footing with the Theravada in any claims they might make to being original Buddhism. 2. Reductionism would be the view that it makes sense to speak of a self, but only insofar as "self" is a convenient shorthand for a complex of phenomena that it would be cumbersome to mention in full detail. 3. Realism would be the view that the self is fully real in that there are predicates that apply to it but that cannot be applied to anything else. The self is one of the ultimately real constituents of the world, and it would therefore be an intellectual mistake to eliminate it or to see it as merely a convenient fiction. (In another context, some philosophers hold that consciousness is a sui generis reality that cannot correctly be seen as just a metaphorical or careless way of speaking about events in the brain.) No schools of Buddhism (including the Pudgalavada) have adopted this realism view were realists, but that one can find self-realists in most non-Buddhist schools of Indian philosophy. These are the full-fledged atmavadins. Number one above would be associated with nihilism and number three with eternalism. Theravada and most schools of Buddhism would be number two above. The Pudgalavada find another middle way position between numbers 2 and 3. Some potential other explanations between numbers 2 and 3 are shown above in 2a through 2f. They argue that something is reborn, something acquires karma and that there is an intermediate state between rebirth (similar to the bardo). And they argue that the metta prayers would be meaningless if there were no pudgala, some person to extend metta or to receive such metta. Thich Nhat Hanh has taught that “the teaching of impermanence and non-self only aims to show us that everything is connected to everything else, the teaching of interbeing.” Thich Nhat Hanh then goes on to explain that there was a school of Buddhism that accepted that there was a person (the Pudgalavada school) and that other schools at first saw them as non-Buddhist, but Thich Nhat Hanh writes that “in fact they were more intelligent than the others” (implying that TNH likes the Pudgalavada or even accepts their teachings). 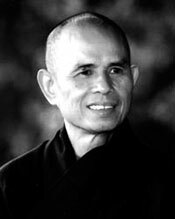 According to Thich Nhat Hanh although the Pudgalavada were condemned as heretical by many, the Pudgalavada were able to demonstrate many errors committed within the other schools. The scholar-monk Bhikkhu Dr. Analayo has written on the gandhabba and notes that in numerous places the Buddha talks of literal rebirth and states that the correct translation of the Pali term gandhabba is that of a 'being to be reborn' which not only suggests a possible intermediate state between births, but also that there is a continuity, a series that continues with rebirth. We need not call this a soul or permanent self, but perhaps something along the lines of either an impermanent self, a consciousness not directly related to the aggregates or some other interpretation. Bhikkhu Analayo notes that in the suttas, it refers to a consciousness 'descending' into the womb, when rebirth is taking place. (see: Rebirth and the Gandhabba). Buddhist scholar Richard Gombrich has stated, "Anatta has been defined as 'not having a self or essence'. That is indeed how later Buddhists came to interpret it, but that was not its original meaning - in fact, it is doubly misleading." I think that we are now living in a time when it is seen by many people as just wrong-headed to say that self or ego is nothing but a poetic way of talking about more complex realities. Self is just too important a construct in depth psychology and in moral theory to wave it aside. It is not simply because of some beginningless delusional habit that we think and talk of selves. So our tendency is to be non-reductive about self. But we also tend not to see the self as eternal, unconditioned and unchanging. Indeed, most of it see self as what analytical philosophers call supervenient. By seeing the self as a supervenient reality we can speak seriously, and without embarrassment or shame, about such things as self-cultivation, self-improvement, self-awareness and self-understanding, and we can do so without buying into what most of us would see as a metaphysical absurdity, namely, an eternal soul or something of the like. Today many Buddhists refer to what they believe is a "true-self" or an "impermanent-self" or they say it is "not-self" rather than "no-self" (including Thanissaro Bhikkhu and other highly regarded monks) or respond in surveys and polls that there is some continuity in their continuation to past and future lives or believe that arahants exist in some subtle form in parinirvana. 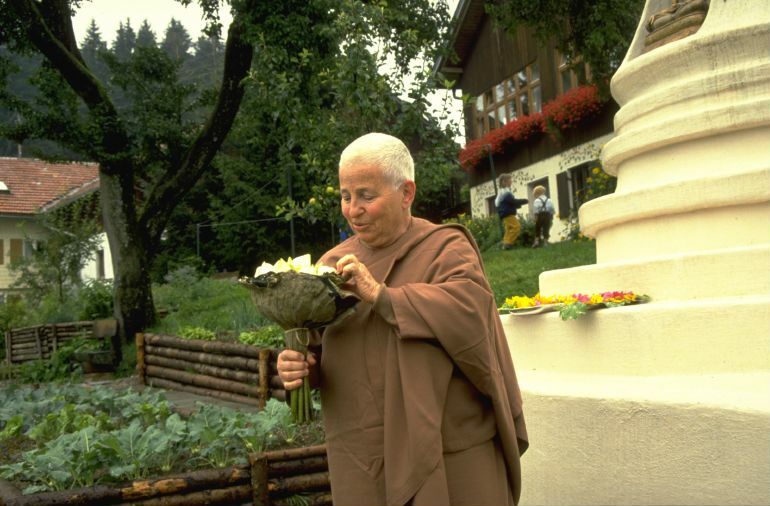 Bhikkhu Bodhi has written that Nirvana is an "existing reality." These ideas are more in common, if not identical with the school of Pudgalavada Buddhism, although they might be calling themselves Theravadin or Mahayanist. Rebirth and the Gandhabba by Bhikkhu Analayo, Ph.D.
Priestley, Leonard (1999). Pudgalavāda Buddhism: The Reality of the Indeterminate Self. Toronto: Centre for South Asian Studies, University of Toronto. David N. Snyder, Ph.D. The Complete Book of Buddha’s Lists -- Explained, Vipassana Foundation (2006), ISBN 0-9679-2851-6. Nagarjuna. Mulamadhyamakakarika originally composed around 2nd century CE. Dhamma Wheel poll currently showing about 37% believe parinirvana to be either an existence or subtle existence (not that the majority decides, but demonstrates that there is a divided opinion among Buddhists and that Pudgalavada views are common). The domain name: http://pudgalavada.com redirects to this page. The domain name: http://pudgalavada.org redirects to this page. This page was last edited on 13 November 2018, at 05:21. This page has been accessed 183,018 times.